New from Wizards of the Coast! D&D Starter Set! Everything players and their Dungeon Master need to kick off a D&D adventure, all in one box! The Dungeons & Dragons Starter Set is the perfect introductory campaign experience for 4 to 6 players, character levels 1 through 5. Everything players and the Dungeon Master need to kick off their adventure is included, all in one box! This newest edition of D&D draws from every prior edition to create a universally compelling play experience, and exemplifies the true spirit of a game that has captured the hearts and imaginations of millions of players worldwide. New from Plaid Hat Games! Video Game High School! 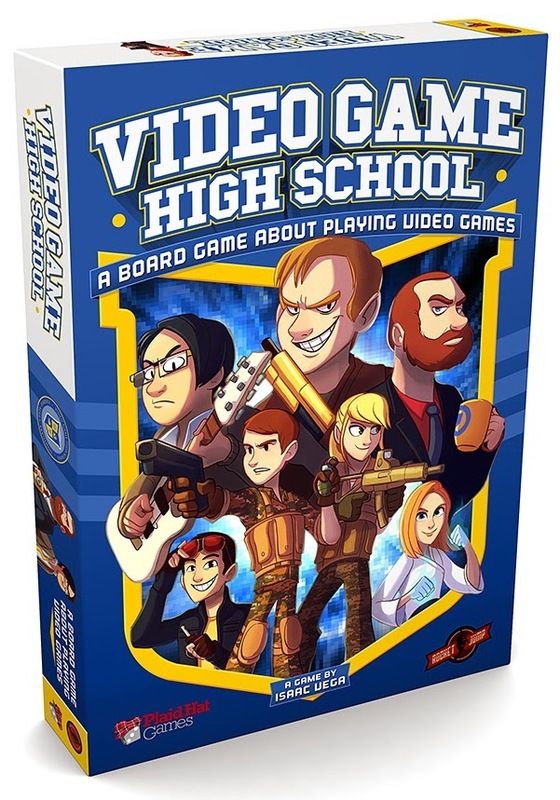 Plaid Hat Games is teaming up with Rocket Jump to design, develop and publish a board game based on their popular Video Game High School series. Video Game High School (or VGHS) is an action/comedy web series about best friends, first loves, and landing that perfect head shot. Players take on the role of students from Video Game High School, a school where students prepare for a career in professional video games. Each student has unique player powers that they will use to their advantage as they select from a limited allotment of actions to train their gaming skills, take on challengers, and set high scores in various video games. The goal of the game is to climb the player ranks and become the top ranked gamer at VGHS. Video Game High School is easy to learn, quick to play, and loads of fun! New from Monte Cook Games! 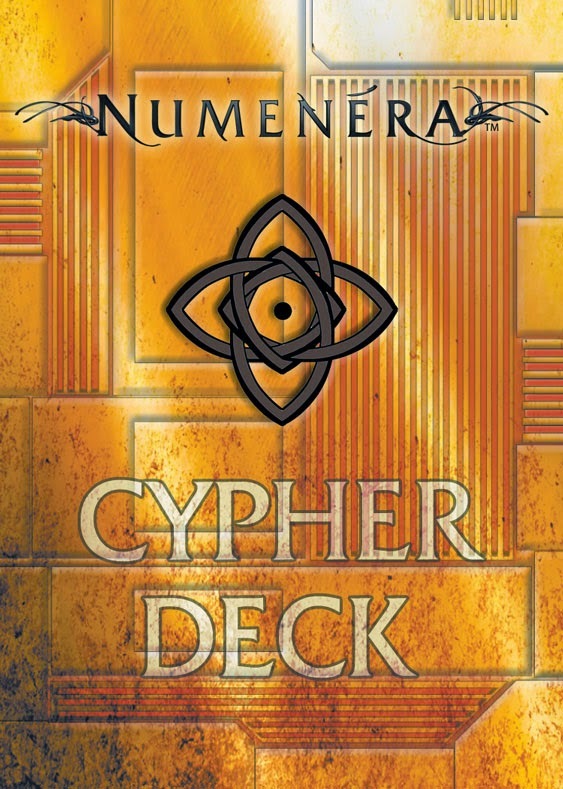 Numenera: Cypher Chest! This deck of 120 full-color cards allows GMs and players to randomly generate cyphers on the fly. Forty item cards are lavishly illustrated with different device types, while the 80 power cards each offer different powers to match the device. Key monsters and NPCs from the demon-fighting Wrath of the Righteous Adventure Path come alive on your tabletop with this collection of more than 100 creature pawns for use with the Pathfinder Roleplaying Game or any tabletop fantasy RPG! Printed on sturdy cardstock, each pawn contains a beautiful full-color image of a monster or NPC from the Wrath of the Righteous campaign, including dozens of demons, holy warriors, and unique NPCs that are also suitable to represent player characters. Each cardstock pawn slots into a size-appropriate plastic base from the Pathfinder Pawns Bestiary Box, making them easy to mix with traditional metal or plastic miniatures. 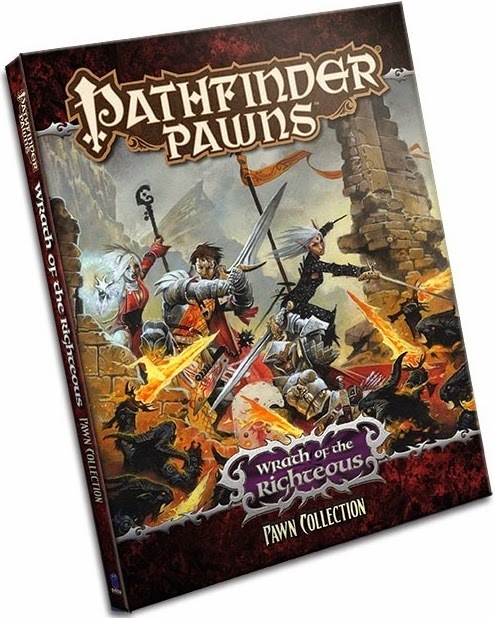 With multiple pawns for commonly encountered creatures and tons of distinct creature images, the Wrath of the Righteous Adventure Path Pawn Collection brings the friends and foes of the Pathfinder world alive like never before! Make your heroes and monsters stand at attention with this collection of sturdy Pathfinder Pawns bases! Designed for use with the Pathfinder Roleplaying Game, this set includes 17 bases: 10 Medium bases, 5 Large bases, and 2 Huge bases, and are perfectly sized for battles on Pathfinder Flip-Mats, Map Packs, or other gridded game mats. 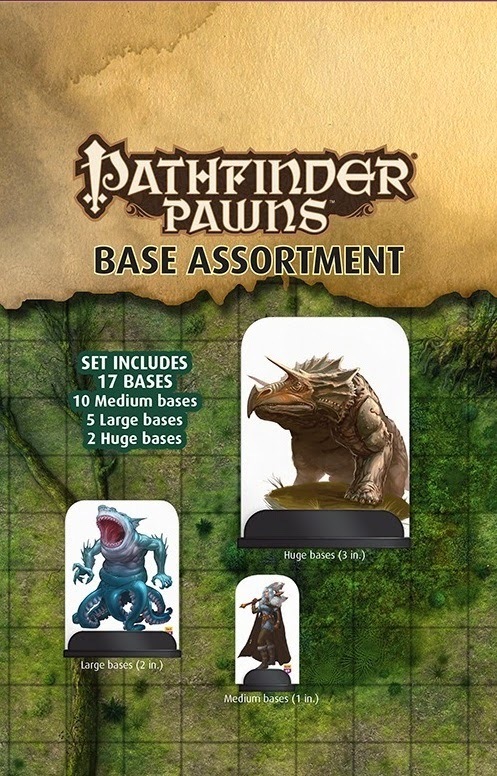 With the Pathfinder Pawns Base Assortment, flood the battlefield with all the creatures your game demands! Discover the ancient secrets of the Emerald Spire, a gigantic dungeon brimming with incredible danger and phenomenal mysteries! 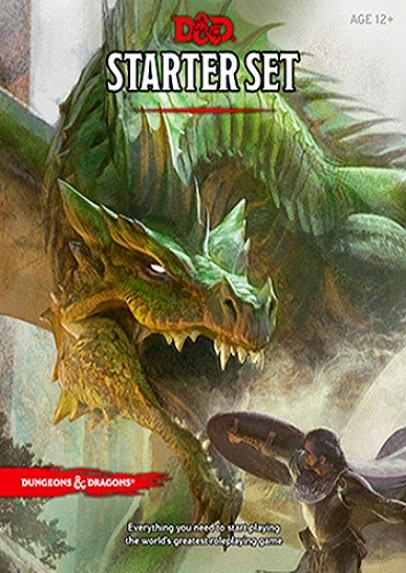 With 16 levels designed by a who’s-who of gaming legends including best-selling author Ed Greenwood, gaming icon Frank Mentzer, and Paizo’s most prominent veterans - the Emerald Spire takes players on a deadly delve into the depths of this mysterious dungeon, its ancient levels each impaled by a mysterious green crystal. Starting at 1st level, novice adventures will rise from facing goblins and deadly traps to high-level battles with the clockwork soldiers of a lost empire and even a forgotten master of creation. 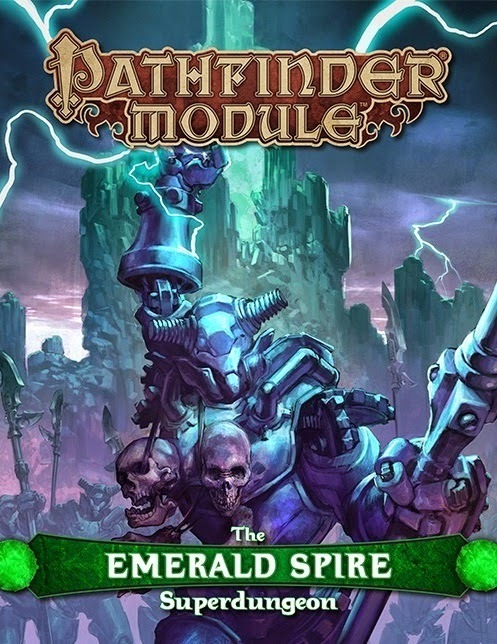 Designed to be a complete dungeon-delving campaign, Pathfinder Module: The Emerald Spire Superdungeon features seven new monsters, a detailed description of the nearby settlement of Fort Inevitable, and the history of the Spire and the surrounding territory, which features prominently in the new Pathfinder Online massively multiplayer online game. 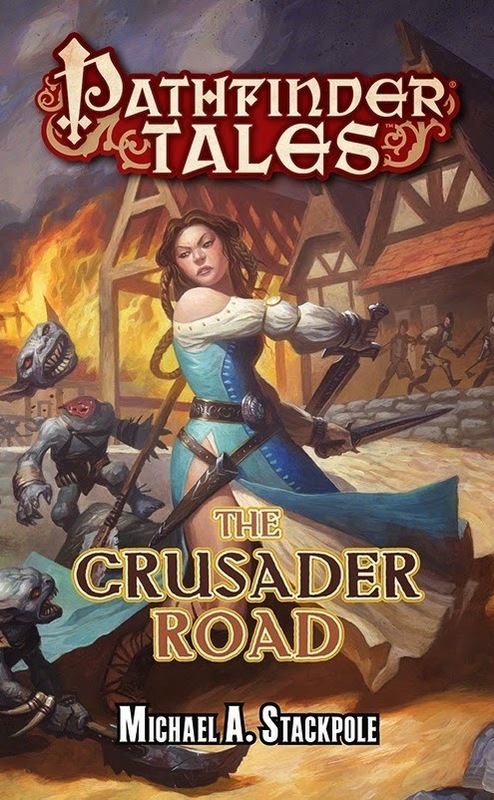 A hardcover 16-level mega-dungeon designed for characters level 1–13. Can you survive the Spire? Get the most out of Pathfinder Module: The Emerald Spire Superdungeon with this custom-made assortment of characters, treasures, and more! Item Cards help you track all the best items and equipment, Face Cards depict the most important NPCs, and new Quest Cards summarize key adventure goals to keep players on track. 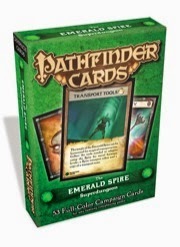 Designed specifically for use with Pathfinder Module: The Emerald Spire Superdungeon, this beautifully illustrated 54-card deck is sure to help you conquer one of the deadliest dungeons ever imagined! The heroes track down the cult of the Forgotten Pharaoh to its secret headquarters inside a giant sphinx statue in the Osirian desert, facing scorpion-men mercenaries and Areshkagal-worshiping maftets before a final confrontation with masked cultists and their leader, the Forgotten Pharaoh, who has been possessed by a fragment of Hakotep I’s soul. The heroes defeat the cult, only to learn that Hakotep’s soul has returned to his tomb, and the ancient pharaoh has risen as a powerful mummy lord intent on reclaiming his lost kingdom! 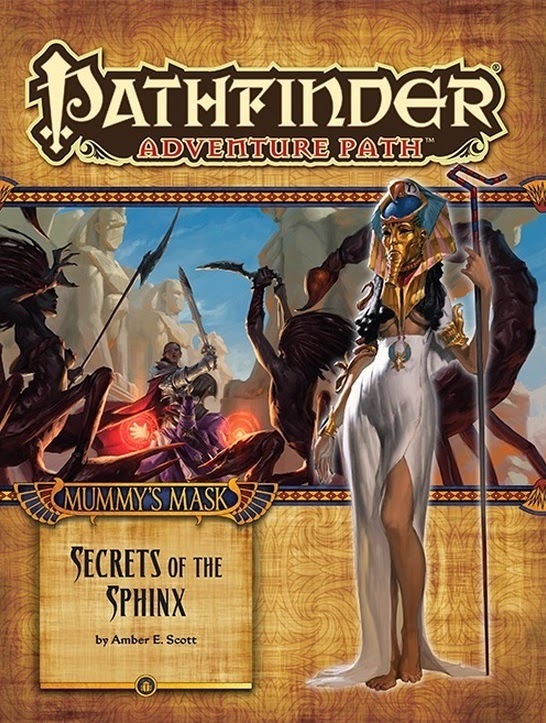 “Secrets of the Sphinx” is a Pathfinder Roleplaying Game adventure for 10th-level characters. 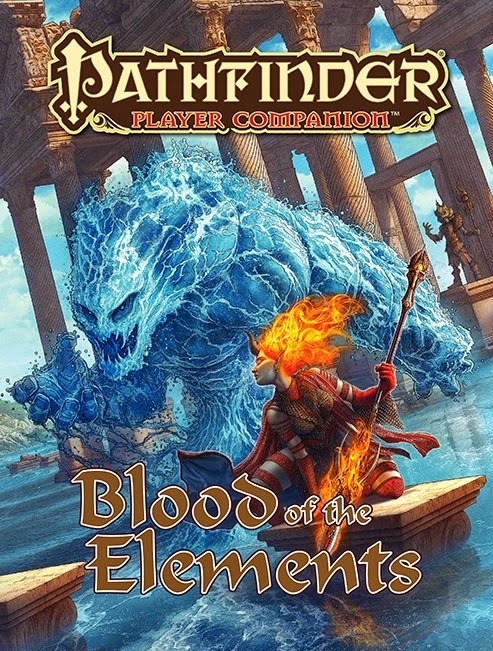 A selection of new monsters, two additional desert locales to expand the Mummy’s Mask campaign, details on the ancient curses of Osirion, and the next installment of the Pathfinder’s Journal written by Amber E. Scott round out this volume of the Pathfinder Adventure Path! Discover the secrets of Numeria, a land of savagery and super science, where barbarians seek to master the technology of an ancient alien empire. From the robot-ravaged badlands of the Felldales to the lands of the Black Sovereign, Numeria provides endless opportunity for post-apocalyptic, science fiction-themed fantasy adventure. 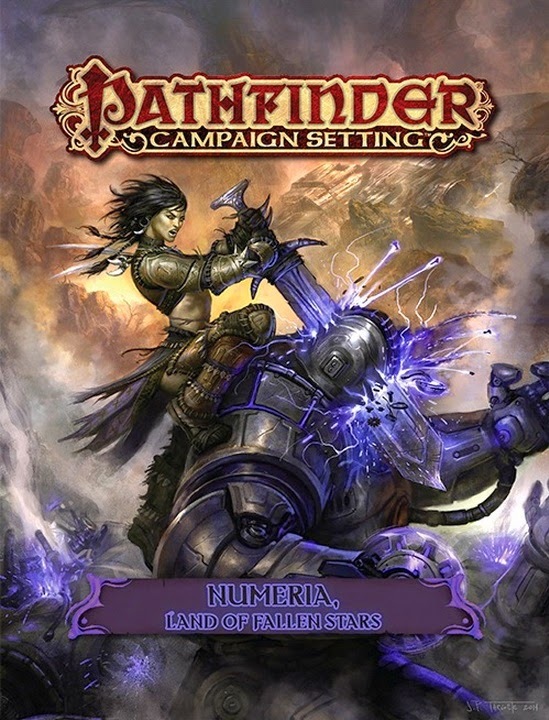 Perfect for use with the new Iron Gods Adventure Path campaign, this invaluable gazetteer sheds new light on one of the mysterious kingdoms in the Pathfinder world, and includes new environmental hazards and over a dozen new monsters that meld magic with fantastic technology. Embrace the elements of earth, fire, wind, and water and learn to channel these cataclysmic forces into awesome new powers. Discover what it means to be a geniekin - one of the five half-human races graced with more than a hint of their forebears’ mystical might - and unlock the dormant abilities of your elemental ancestry. New traits, feats, spells, and magic items give you all the tools you need to bring your elemental characters to life. 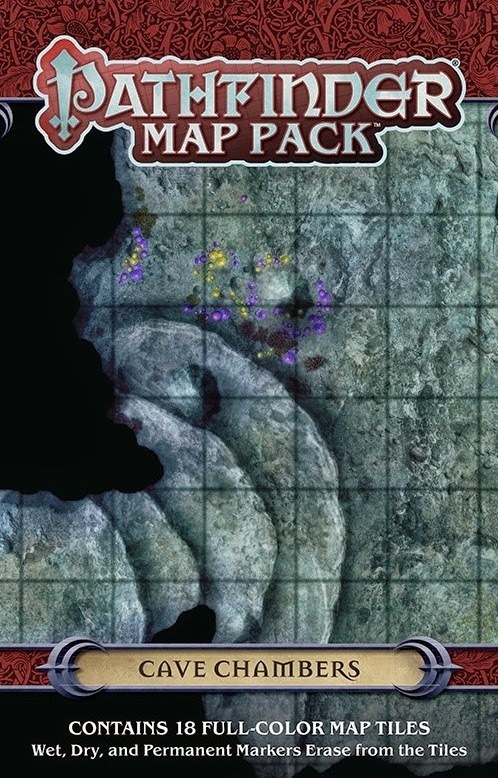 Pathfinder Map Pack: Cave Chambers contains 18 full-color 5 x 8-inch map tiles, stunningly crafted by cartographer Jason A. Engle, that combine to form a modular, customizable underground complex filled with stalagmite-lined halls, deadly ravines, monster lairs, and more! Suitable for experienced GMs and novices alike, this product fits perfectly into any Game Master’s arsenal. New from Alderac Entertainment Group! 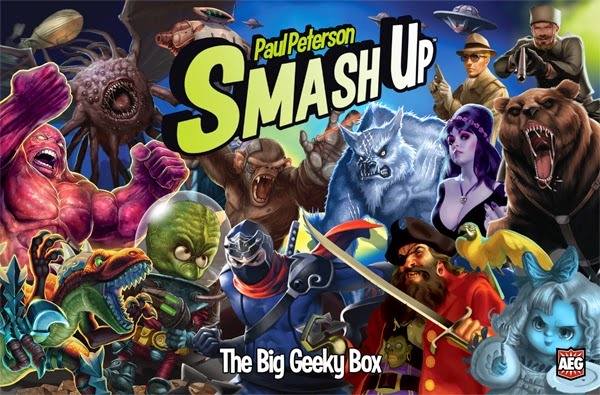 Doomtown: Reloaded, Smash Up: Big Geeky Box and Thunderstone Advance: Into the Abyss! Welcome to Gomorra. A bustling settlement in the Weird West. Rebuilding after a cataclysm, the citizens of the town struggle to remake their lives. Now is your chance to take it to the streets of Gomorra and show who runs the most dangerous boomtown in the West. Doomtown is an expandable card game set in the Deadlands universe. 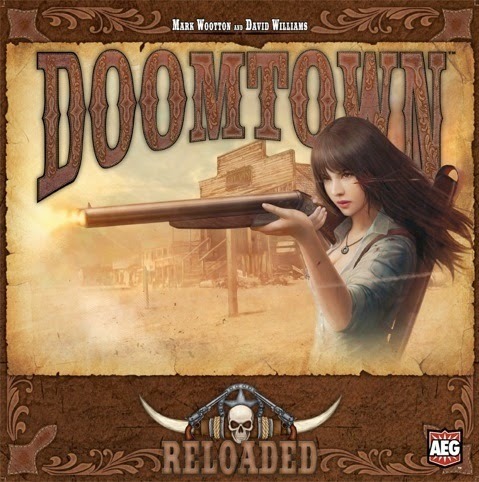 Based on the classic collectible game, Doomtown: Reloaded is a fast-paced game of gun slingin’, spell slingin’ and mud-slingin’! Use poker hands and card pulls for everything from gunfights to summoning abominations. Doomtown is a game with a story, it puts you in charge of one of the four main outfits vying for control of Gomorra: The Law Dogs, the Sloane Gang, the Morgan Cattle Company, and the Fourth Ring. Who will control the town? Grab your hat, saddle your horse, and load your gun. You have a town to claim. This oversized box features three long trays for holding your Smash Up factions, as well as high quality dividers for sorting. It also comes with the really cool foam spacers that people loved in Thunderstone and Nightfall. Organization was never this hot! 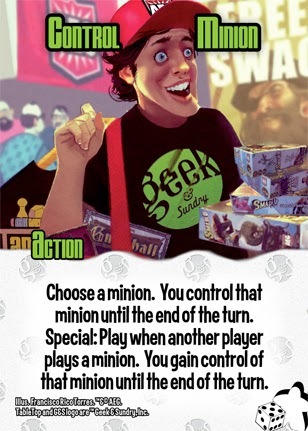 Not only that, but the box comes with a bonus faction, the Geeks! Featuring Geek and Sundry, this deck will allow you to geek out like never before. Geek Dinosaurs, Geek Spies, you name it! Battling to the heart of Doom’s kingdom, surrounded on every side by Undead, new powerful Doomknights, and countless monsters of the Abyss, can the heroes finally put the ancient evil to rest? 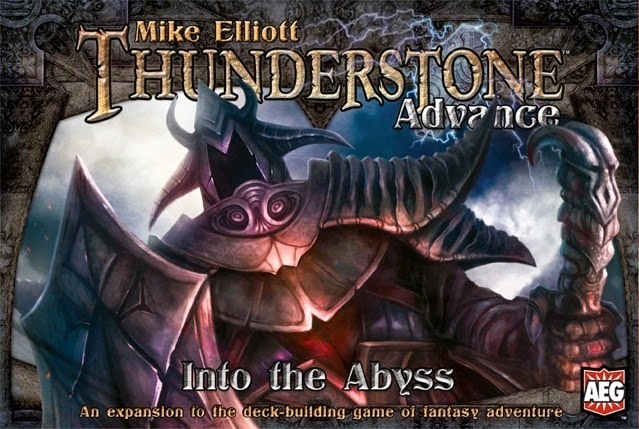 Thunderstone Advance: Into the Abyss continues the story of survival in the forsaken realm. This set showcases a blend of 381 cards from the first six Thunderstone releases, together with some new heroes, spells, items, villagers, and monsters. It also incorporates alternate uses for experience tokens and fourth level heroes for this set and the companion set, Worlds Collide. This set is an expansion and requires a Thunderstone Advance base set (such as Worlds Collide) to play. Our ACD Distribution Blog will resume on May 27th! An important reminder: ACD warehouses are closed Thursday, May 22 and Friday, May 23 for ACD Games Day, AND Monday, May 26 for Memorial Day. Make sure to plan your orders accordingly. Our ACD Distribution Blog will resume on Tuesday, May 27th! Have a great Memorial Day weekend, and we hope to see you at ACD Games Day! New Artists of Magic Playmats from Action-Sports! Ride of Yokai and Hellion's Haven! These are the latest playmats in the Artists of Magic series. 24” x 14”, rubber-backed mat. Limited edition of 3000 total produced. New from Game Salute! 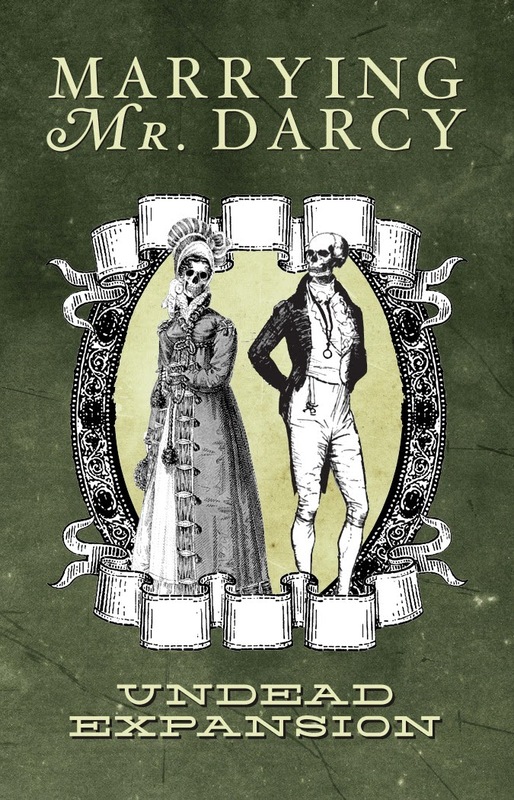 Marrying Mr. Darcy: Undead Expansion! Marrying Mr. Darcy: the Undead Expansion adds the threat of the walking undead to the heroines’ attempts to build their character and marry well. Elizabeth Bennet and the other ladies must now face the possibility of undead attacks, undead suitors, and curses, while still trying to marry the suitor the will earn them the most happiness. The ladies may use weapons, stealth, and cures to try to make it to the end of the game, but may end up undead themselves. Don’t forget the base game – Available now! 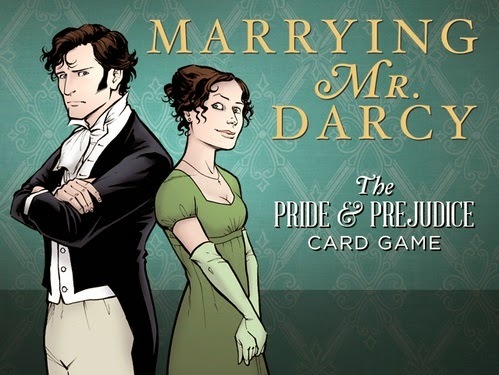 Marrying Mr. Darcy is a role-playing card game where players are one of the female characters from Jane Austen’s novel Pride and Prejudice. Players work to improve themselves and become more desirable as potential wives for the available Suitors. The ladies do this by attending Events and improving their Characters, but advantage can be gained by the use of Cunning. All of their efforts are in hopes of securing the husband that will make them the most satisfied character at the end of the game. Game play is divided into two stages: the initial Courtship Stage and the concluding Proposal Stage. The Courtship Stage is when players try to improve their Heroine’s chances of happiness by earning points playing Character Cards, and acquiring or playing Cunning Cards. Character Points help you to attract Suitors, and also count toward your total number of Character points at the end of the game. Cunning Points do not count towards your building your Character. However, the Heroine who has acquired the most Cunning will be the first player to enter the Proposal Stage later in the game, putting her at a significant advantage. The Proposal Stage begins when Event Cards have been played. In this stage, players will roll to see which Suitor proposes to them, decide if they will marry them, and calculate their final score. Can you win the heart of Mr. Darcy? New from Asmodee! 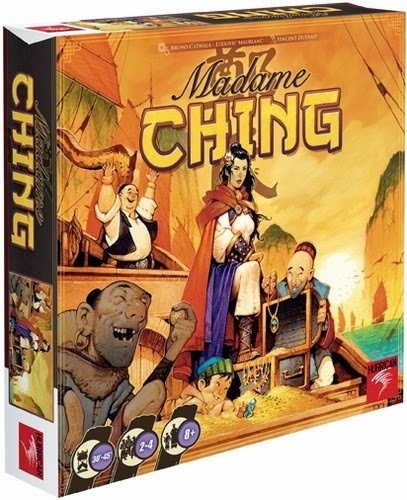 Madame Ching! New from Ultra PRO! Pathfinder Adventure Card Game Play Mat and Deck Protector! 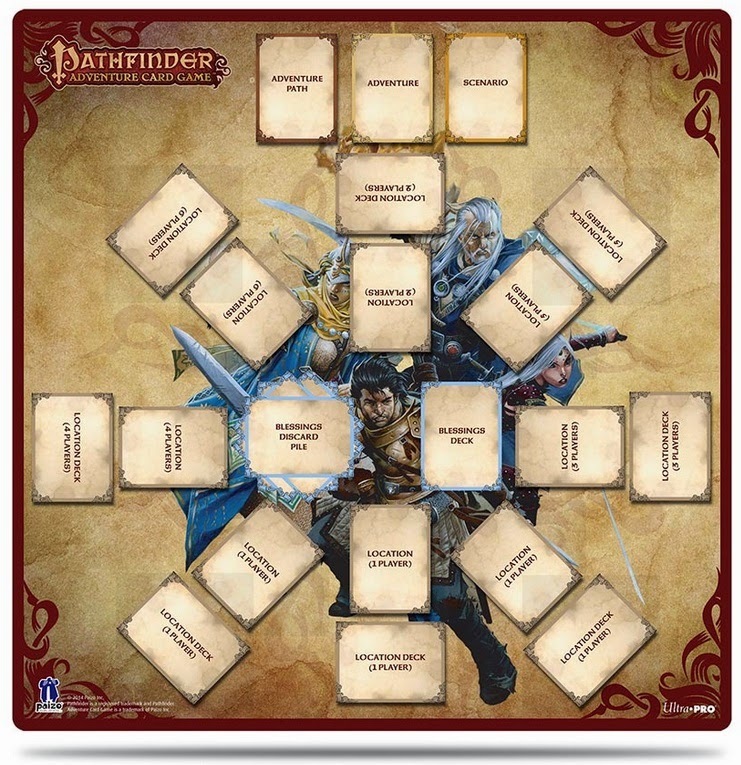 Oversized Play Mat to be used as your Pathfinder Adventure Card Game Board. 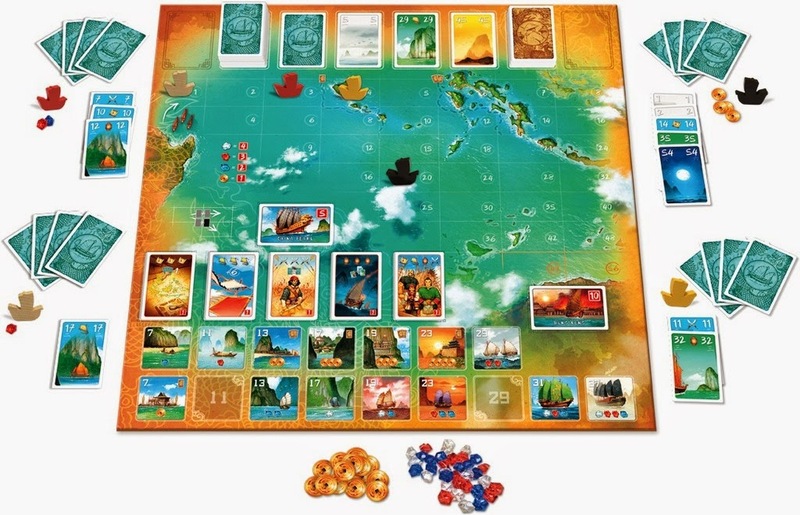 There are card guides showing the layout and placement of each set of cards for up to 6 players. 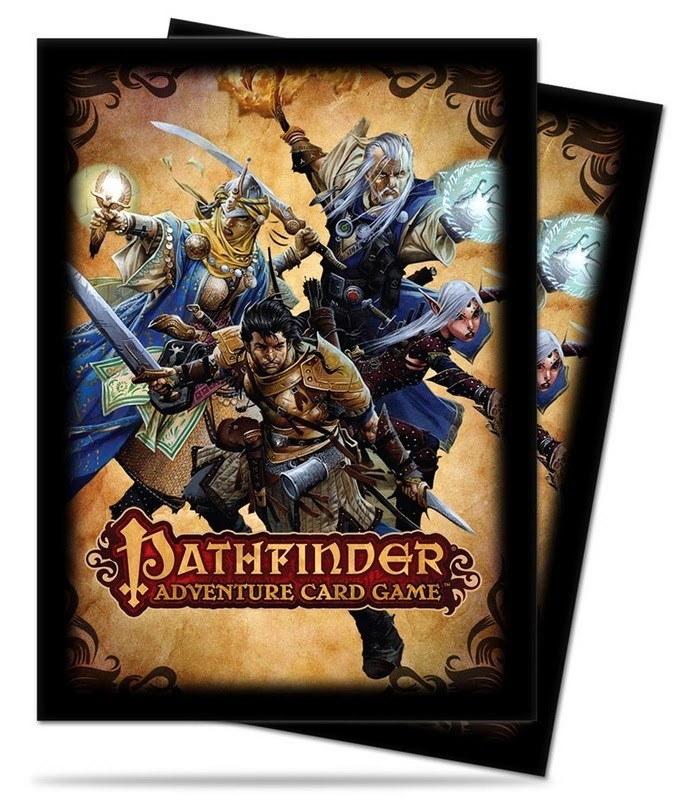 Features Pathfinder Adventure Card Game Character Art. 50-count pack. New from Alderac Entertainment Group! Legend of the Five Rings: A Line In the Sand, Siege: Heart of Darkness and Book of Void! In the unrelenting summer heat of the Colonies, tempers begin to fray as those with allegiance to Iweko Seiken and Iweko Shibatsu take an increasingly militant stance against those who disagree with their philosophies. While the heirs themselves do not advocate military conflict against the forces of their brother, their followers lack the same sense of discretion and self-control. As temperatures soar, self-restraint begins to fail, and blood will be spilled in the name of Imperial succession. 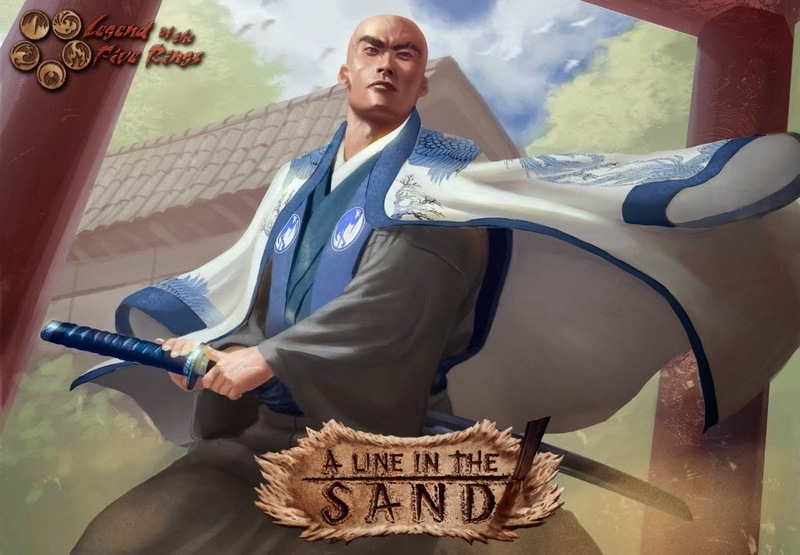 A Line in the Sand is the second expansion following the acclaimed Ivory Edition, the newest base set for the premiere interactive CCG: Legend of the Five Rings. 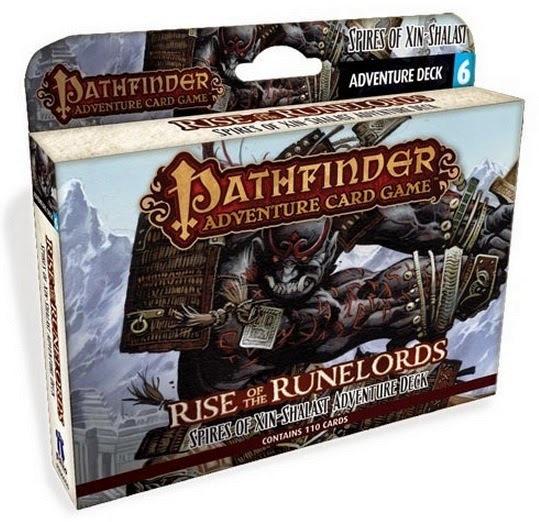 With 16 cards booster packs, it provides an ideal complement to the base set, and a good alternative to the first expansion, for the purpose of drafting L5R. A line has been drawn in the sand of the Colonies. Who will cross it first and escalate simple tensions into a full blown conflict? 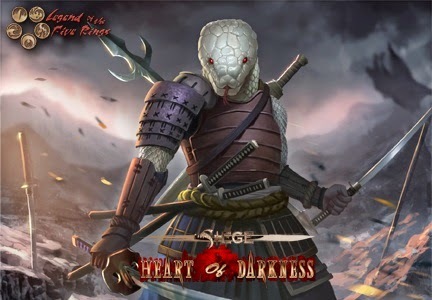 Siege: Heart of Darkness is a brand new way to play multiplayer Legend of the Five Rings, the premiere interactive collectible card game, pitting multiple players as defenders of the city against one assailant piloting the Siege deck. Face the dread Dark Naga forces with either the 3 decks included in this product or with your own and take part in the defense of the Second City for the glory of the Empire of Rokugan. You are the hero, the choice is yours! -3 Ivory-legal pre-constructed decks for the defenders of the city. -1 pre-constructed deck for the Naga assailant. -1 full color rules and story booklet. New from Japanime Games! Krosmaster Arena Products! 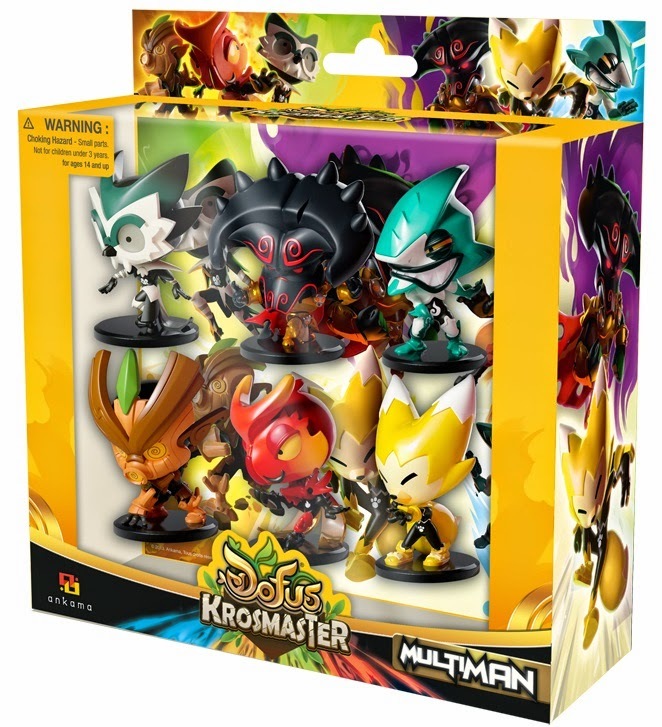 Krosmaster Arena: Multiman comes with 6 unique figures, and a change in gameplay. The Multiman Expansion allows up to 3 of any given Multiman on your Krosmaster: Arena team. The Multimen become more powerful in numbers - total numbers, even if they are fighting against you! They come in 2 varieties, Avengers and Villains, and are all Level 2 Characters. The Avengers feature Retribution powers and additional Spell effects dependent on the number of Avengers on the board, while the Villains feature Revenge powers and additional Spell effects dependent on the number of Villains on the board. As stated above, this includes all Avengers and Villains regardless of which side they are fighting for, so be wary of how you use them, as some get incredible boosts if there are more than 7 Multimen on the board at once. A lighter version of Krosmaster Arena! The main spirit of the Arena is brought by Krosmaster Junior, allowing even the youngest players to understand the rules and play with a friend. 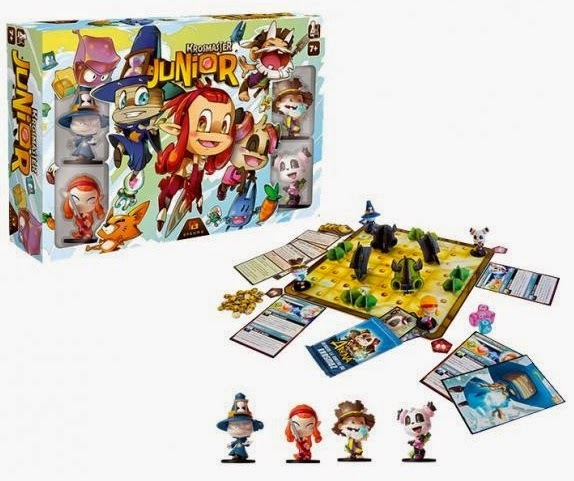 Krosmaster Arena: Junior will include four new character figures, simplified rules, and progressive scenarios, much like the Krosmaster: Arena. 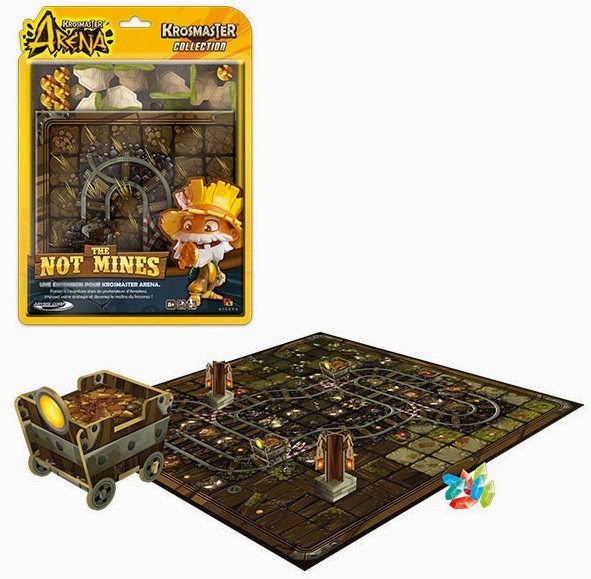 Krosmaster Arena: Not Mines will add an additional double-sided board playable with all Krosmaster products! New from Wizards of the Coast! Magic: The Gathering: Core 2015 Set! 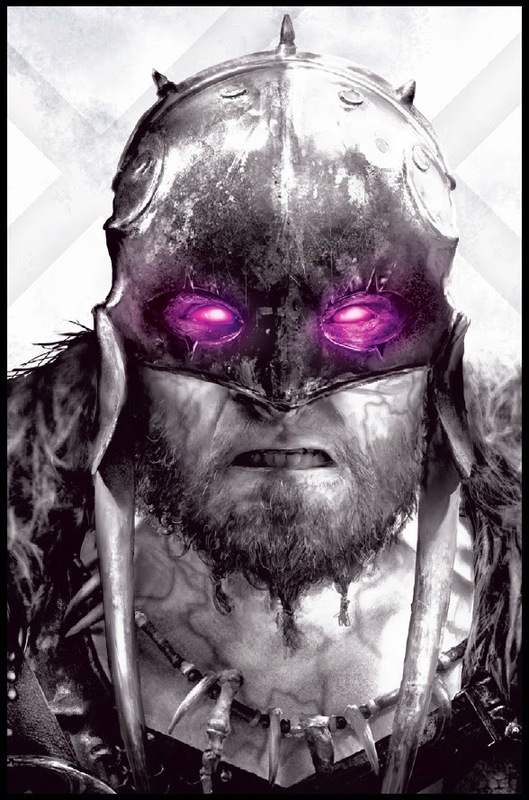 Players follow the story of the cursed Planeswalker Garruk Wildspeaker who’s hunting the most challenging quarry of all: other Planeswalkers. Unfortunately for Magic players, that means that he’s hunting them! This is a display containing 10 Intro packs. There are five different decks. Eack deck contains a 60 card pre-constructed decks and two booster packs. New from Konami! Yu-Gi-Oh! Battle Pack 3: Monster League, Sealed Play Battle Kit 3 and Duelist Alliance Booster Display! Meet the latest booster set in the Yu-Gi-Oh! TCG Battle Pack Series, the all-new Battle Pack 3: Monster League! Designed for both booster draft and sealed pack play, Monster League brings together a ton of surprising Monsters, Spells, and Traps to challenge your drafting, deck-building, and Dueling skills in a brand new way. Since Battle Packs are now part of the Yu-Gi-Oh! Championship Series premier events, the Yu-Gi-Oh! TCG is dedicated to having Monster League provide an exciting, balanced, and competitive Dueling experience. Monster League does this by including 10 new battle-oriented cards (2 new Monsters, 2 new Spells, 6 new Traps) designed for sealed & draft play, and are also 100% legal for constructed play, as well as incorporating a Special Tournament Rule, designed to provide Duelists a Dueling experience with a twist! Monster League also brings back Shatterfoil Cards! These shattered-glass style cards use the same technology seen in later Duel Terminal sets. Lastly, Xyz Monsters make a return to the Battle Pack series in Monster League for draft & sealed play, but as extremely rare, Shatterfoil-only cards. Each 5-card pack contains 1 Rare Card, 3 Common Cards, and 1 Shatterfoil Card. Start your Sealed Play experience with Battle Pack 3! The Battle Pack 3: Sealed Play Battle Kit is an easy purchase to set up casual or organized Sealed Pack play, complete with your very own Game Mat to Duel on! Each Sealed Play Battle Kit comes with ten Battle Pack 3: Monster League Booster Packs and one of five featured Battle Pack Game Mats exclusive to the Yu-Gi-Oh! TCG series! Every Battle Pack 3: Monster League pack contains 5 cards consisting of 1 Rare, 3 Commons, and 1 Shatterfoil – a new card rarity that was only seen in the later Duel Terminal sets. Since Battle Packs are now part of the Yu-Gi-Oh! Championship Series premier events, Duelists interested in Organized Play Events will want to consider the Battle Pack 3: Sealed Play Battle Kit to familiarize themselves with the exciting and competitive aspects of Sealed Pack and Booster Draft Play! 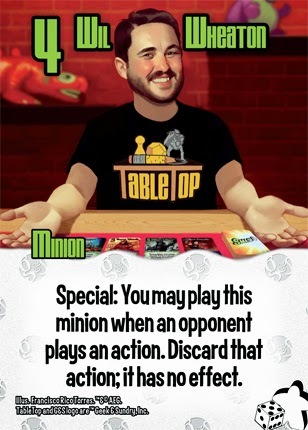 A new tournament season and a new story arc mean it’s time for brand new Deck themes and an all-new monster Type! Following their introduction in Super Starter: Space-Time Showdown, Pendulum Monsters appear in full force in the Duelist Alliance booster set! Half Monster Card and half Spell Card, these magical creatures let Duelists swing the tide of battle with Pendulum Summons, the powerful new game mechanic for the Yu-Gi-Oh! TCG, guaranteed to impact Duels like never before. 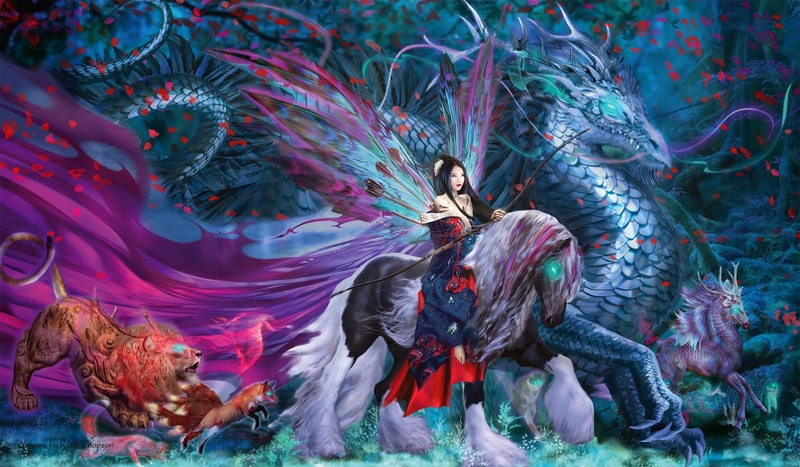 For the first time in six years, Duelist Alliance also introduces a new monster Type to the game: Wyrms! These fearless cousins of Dragonkind can stand up to any monster challenge. Duelists will also be treated to a brand new ongoing Deck theme based on Dante’s Inferno, considered to be one of the great classics of Western Literature. On top of all this, Duelist Alliance also introduces several other tournament-level Deck themes that will delight Duelists with their intriguing strategies. 8 Secret Rare Cards PLUS Ultimate Rare versions of 5 cards and a Ghost Rare version of 1 card! New from 5th Street! Farmageddon Expansions! New from Steve Jackson Games! Munchkin Legends! New from Academy Games! Fief! New June Products from Fantasy Flight Games! New from Posthuman Studios! Shinobi Clans!